Ever since Bravo created The It Factor in 2002, the network has been churning out reality shows like they’re practically free to make (because they are). While many of these shows have made their stars into household names—in all the households that matter, at least—others have drifted into obscurity, seemingly forgotten by all but sad bloggers cobbling together a “Where Are They Now?” post. Until now...when the sad bloggers are us. On this week’s episode, Watch What Happened: Bravo Shows of Yore, we take a leisurely stroll through Bravo’s forgotten history, the lesser known reality shows that are by no means lesser, because it’s not all about Housewives: From the anthropological one-season wonders—NYC Prep, Gallery Girls, Princesses: Long Island—to the beguiling Bravolebrities who got their own spin-offs—Don’t Be Tardy, Tabatha’s Salon Takeover—Bravo has been giving us memorable artists, yachties, rich kids, and hairdressers for almost 20 years. Madeleine and Megan are joined in this journey to the past by Jezebel senior writer and Southern Charm aficionado, Ellie Shechet, as they discuss those shows that lived for only a season or two, but live on in our hearts. After all, how could a show that involved a guy ejaculating on a drawing of Mickey Mouse’s head filled with genitalia be considered anything less than a Work of Art? The hosts then turn their attention toward the sometimes charming Southerners of Southern Charm, and the dirtiest dirt surrounding the very NOT charming Thomas Ravenal. What ever happened to these one-time Bravolebrities? But seriously, where are they now? Begging for money on the subway? Marrying their platonic best friend in Vegas with the Secret Service in attendance? Trying to sell a Mitchell Gold couch and loveseat on Apartment Therapy? Summering in the Loire Valley? Or making a guest appearance on DirtCast? 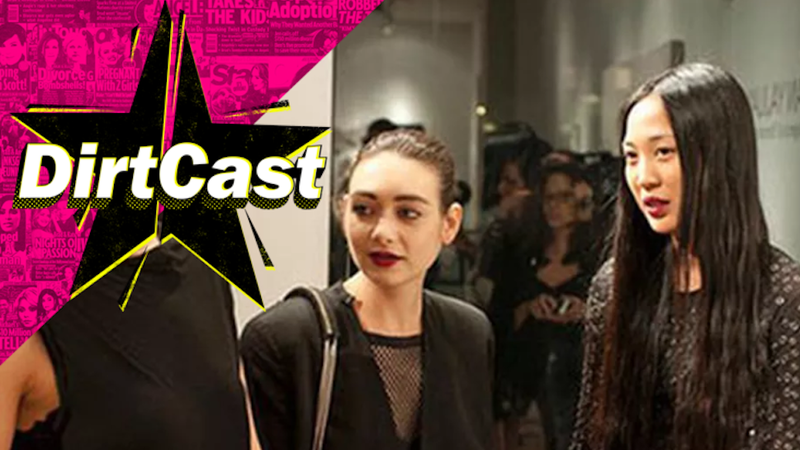 In the final part of the show, we’re joined by former Gallery Girl Angela Pham, who is more than happy to revisit her shame. During her time on the 2012 show—which tracked the lives of seven ambitious New Yorkers trying to make it in the art world—photographer Angela became known for her outrageous outbursts (“Like, don’t get béchamel sauce all over my clothes. No one fucks with my wardrobe”) and her infamous L.A.M.D., or Look-At-Me Device. Thank you to Ellie Shechet and Angela Pham. Our show is produced by Levi Sharpe. Mandana Mofidi is our Executive Director of Audio. Our theme music is by Stuart Wood. This episode was mixed by Jamie Collazo. Our intern is Rachel Withers.